When it comes to the service of your garage doors, you need a company to do everything right from start to finish. Don’t you? Who likes delays? Who wants to pay extra and hardly get the service expected? With us, you experience a totally different story. We don’t only deliver the best garage door service in Tomball TX but the best customer care too. What does our garage door company do for customers? What matters to our whole team at Tomball Garage Door Repair Central is not just to fix the cables once and then say goodbye. 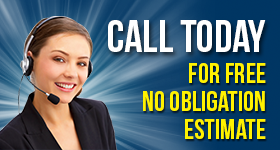 As a business, it is natural that we want to serve your needs every time you want assistance. And that’s our business-wise motivation. But not the only one. We have been in this business for a reason and that’s our love to serve the needs of customers in the most professional and effective way possible. What do we do about it? We hire the best garage door repair techs in Tomball, Texas. We remain current with all innovations in the garage door & opener world. You can ask our help for any problem and request any service. From preventive service and same day repairs to conversions, maintenance, replacement, and installations, we do it all. And at affordable prices too. 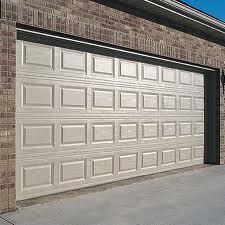 When you come to us for installations, we also provide the garage doors. And as you most likely know selecting garage doors or openers is hardly easy. We know that and help you out by sending to you a reliable pro to offer answers, solutions, and estimates. Whichever brand and type you want, we provide. Whenever you need the installers to come for the job, we send them. Of course, there is always the concern of handling problems and our garage door company is the best choice for such needs too. You can call us for maintenance if you wish to prevent failures but also count on our assistance whether you want prompt opener replacement or emergency garage door opener repair. So feel free to call for any repair service. We are here for you. And that says it all. You call and we take over. So, don’t let any concern worry you for long. Reach out to us and our Garage Door Repair Central in Tomball will be of assistance.